Now this is coming form ATI Catalyst, I know so cause the error message has the new CCC logo. Now what stinks is its apparently something wrong with Microsoft NET, yet I have googled the problem and tried many fixes but with no avail. Right now I am pretty mad cause I have CCC which wont work anymore, Zune, and also my windows is freaking out. Now I have spent the last hour trying to fix this dang issue and need help as I am stuck... Please help, ANY help at all is much appreciated. I've searched the sorttbls.nlp file in my computer, and find that this file should be a component of the .NET Framework 2. •	The AMD Catalyst™ Control Center requires that the Microsoft® .NET Framework SP1 be installed for Windows XP and Windows Vista. Without .NET SP1 installed, the AMD Catalyst™ Control Center will not launch properly and the user will see an error message. •	When installing the AMD Catalyst™ driver for Windows operating system, the user must be logged on as Administrator or have Administrator rights to complete the installation of the AMD Catalyst™ driver. You can try the steps below to resolve this problem. 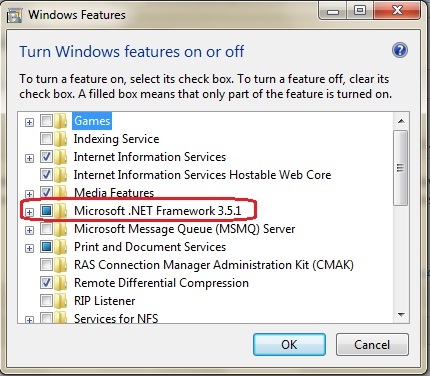 •	If the checkbox of Microsoft .NET Framework 3.5.1 is not been selected, then select it and click OK.
•	If the checkbox of Microsoft .NET Framework 3.5.1 is been selected, unselect the checkbox first, click OK. Then open the Turn Windows features on or off again and select Microsoft .NET Framework 3.5.1, click OK.
Then, please try to install the AMD Catalyst™ Control Center again. The only problem with this is that I'm unable to bring up Windows components, Computer Manager, Roles, Event Viewer. None of them comes up.